Chip-on-board lights are multiple LED chips mounted directly on to a circuit board. The advantages of COB lights are that they are 25% more efficient than a conventional LED, this means they stay cooler and brighter for longer. 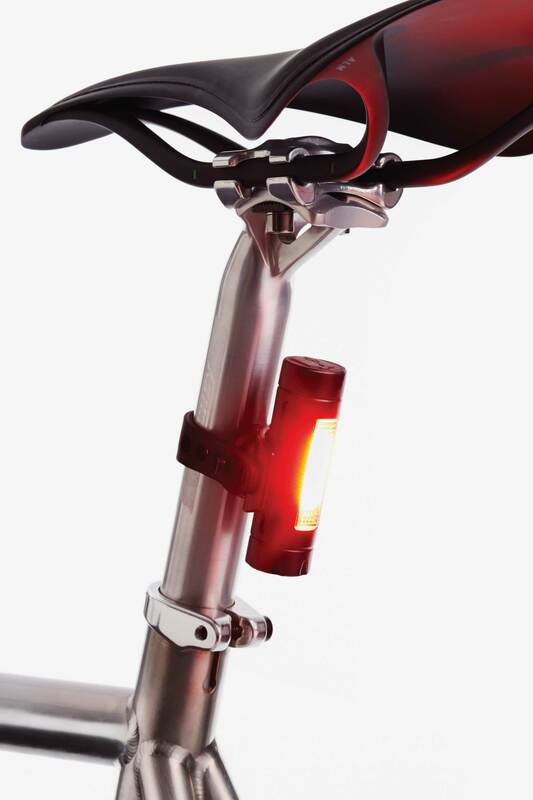 For our commuter light range, we prioritised size, run time and brightness, ensuring riders have a compact unit that delivers a highly-visibility glow throughout the week. Also because all the chips are packed together they give off a very bright but non directional light, unlike conventional LEDS which give off a beam. This makes them much better for “be seen lights” for example in urban areas where being noticed by surrounding environment is more important than lighting your path ahead.